BACK ON MARKET...CASH BUYER GOT COLD FEET. THEIR LOSS IS YOUR GAIN. RARE 3 BEDROOM offering inside of Harbor Town on Saluda Lake! 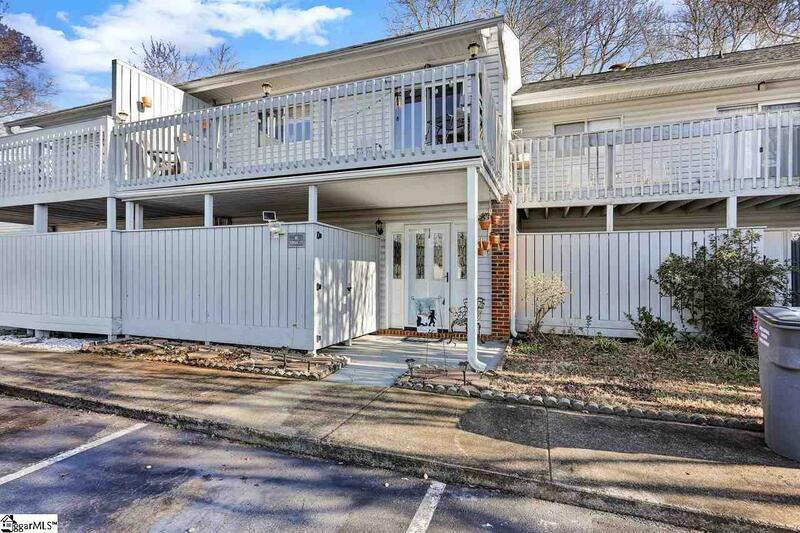 Enjoy the ultra-convenient location just minutes to downtown Greenville, Interstates, hospitals, shopping and dining. This 3br/2.5ba unit shows like a model with updates and personal touches that leave absolutely nothing to be desired. Feels like home from the moment you enter with designer paint colors throughout this spacious and light filled unit. Generous sized bedrooms are perfect for a weekend retreat or full time living. Lovely updated master bathroom features tile shower/tub combo and vanity. In addition to 2 more guest rooms sharing the 2nd full bath, the main level has its own walk in laundry room. Functional custom touches such as sliding doors and built-ins make this unit live big! Upstairs you will find an open kitchen with many updates and living area complimented by dedicated dining spaces. Guests will love the convenient powder room, 20 ft outdoor deck and rear sun room...perfect venue for entertaining. Plenty of nice storage inside and out. Home is clean as a whistle and ready for a new owner seeking turnkey, zero-maintenance lake living at its best. Amenities include boat storage, available boat dock, community clubhouse, exercise facility, etc. Don&apos;t delay!